Degree in Physiotherapy‑ September 1978 (France). Postgraduate of “Motion Palpation Institute” (USA)‑ Specialization in quiropractic , 1990 . Postgraduate of “S.O.R.S.I.” (USA)‑ DEJARNETTE technique, osteopathy and quiropractic 1990. Postgraduate with Fred MITCHELL Jr,Lawrence JONES y William JOHNSTON (1º Congres Mondial d’osteopathie à Bruxelles -1984). Quiropractic postgraduate with J.C Thompson (USA) y J. Cox 1991. Postgraduate courses with Laurie HARTMAN y Steve SANDLER (British School of Osteopathy) en Paris (1985 a 1987). Postgraduate courses with J.F TERRAMORSI (Etiopathie) ,Paris (1987- 1988). Postgraduate courses with Viola FRYMAN, Paris ATMAN (1983). Courses with Denis BROOKS, ATMAN, Paris 1980. HÔPITAL DES INVALIDES, Paris, service de reeducation fonctionnelle 1978. HÔPITAL DE LA PITIÉ-SALPETRIÈRE, Paris, service de reeducation fonctionnelle en Neurologie, 1979. Physiotherapy private Clinic– 61,rue du Ruisseau – Paris, 1979 to 1984. Osteopathy private clinic -61, rue du Ruisseau – Paris, 1984 to 1995. Osteopathy private clinic – Calle Uruguay, 18‑ 28016 MADRID 1995 to 1998. Osteopathy private clinic – Calle Corazón de Maria, 60‑ 28002 MADRID since 1998. Institut National de la Kinésithérapie (France) 1982 to 1986‑ reflexology, osteopathy. Collége Ostéopathique ATMAN (France) 1987‑ osteopathy. CETMO (France, Belgium, Italy) 1984 to 1993‑ Structural and visceral osteopathy. British School of Osteopathy (London)‑ 1987, 1989, 1998 ‑ Structural and visceral osteopathy. Physiotherapy Association of Rome (Italy) 1990 and 1991‑ Structural osteopathy. CEO of the International Madrid School of Osteopathy since 1989 (Brazil, Argentina, Spain, Italy, Portugal). President of FESO (Federación Europea de los Sindicatos de Osteópatas) 1995/1996. President of the Scientific European Federation of Osteopaths 2001/2018. 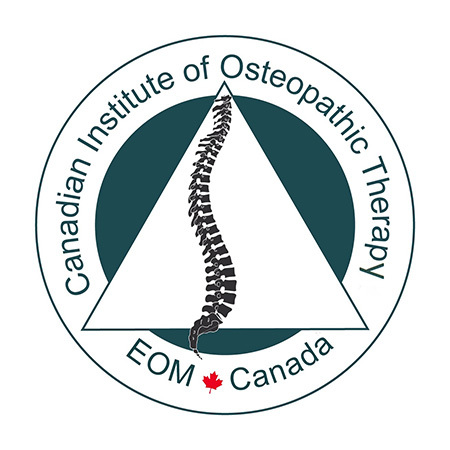 Member of the Federal European Register of Osteopaths since 2000. Scientific coordination of the Scientific magazine “ Manual Therapy and Osteopathy”. Editor of the free journal online European Journal of Osteopathy and Clinical Related Research magazine since 2012. Awarded with the prize of the authors in osteopathic medicine 1986 in france. F. RICARD‑ AURICULOTHERAPIE, SYMPATHICOTHERAPIE ET MEDECINE CHINOISE DALAS LE TRAITEMENT DE LA DOULEUR ET DES DYSFONCTIONS NEURO‑VEGETATIVES ‑ SPEK (FRANCE) 1984. F.RICARD –STIMUAZIONE RIFLESSA DEL PADIGLIONE AURICULARE E CHINESITERAPIA – MARRAPESE EDITORE ROMA 1982. F. RICARD ‑ LESIONS OSTEOPATHIQUES DE L’ARTICULATION TEMPOROMANDIBULAIRE (“PRIX DES AUTEURS EN MÉDECINE OSTÉOPATHIQUE 1986”). TOMES 1 ET 2‑ EDITIONS ATMAN/DE VERLAQUE (FRANCE) 1986 ET 1989. F. RICARD D.O‑ TRAITEMENT OSTEOPATHIQUE DES ALGIES D’ORIGINE LOMBO‑PELVIENNE (LOMBALGIES, LUMBAGOS, RADICULALGIES DE TYPE SCIATIQUE ET CRURALE)‑ TOMES 1 ET 2­EDITIONS ATMAN/DEVERLAQUE (FRANCE) 1988. F. RICARD‑ OSTEOPATHIC TREATMENT OF PAIN ORIGINATING IN THE CRANIOCERVICAL AREA ‑DEVERLAQUE EDITOR 1990. F. RICARD D.O‑ TRAITEMENT OSTEOPATHIQUE DES ALGIES D’ORIGINE CRANIO‑CERVICALES (CERVICALGIES, TORTICOLIS, NÉVRALGIES CERVICO‑BRAQUIALES, CÉPHALÉES, MIGRAINES ET VERTIGES‑ FRANÇAIS/ANGLAIS‑ EDITIONS DEVERLAQUE 1990. F.RICARD/P.THERBAULT – LAS TECHNIQUES OSTEOPATHIQUES ET CHIROPRACTIQUES AMERICAINES – EDITIONS FRISON-ROCHE 1991. F. RICARD/ J.L. SALLE/ G. ALMAZÁN‑ LA OSTEOPATÍA: UN MÉTODO DE CURACIÓN NATURAL‑ EDICIÓN MANDALA (ESPAÑA) 1994. F. RICARD/ J.L. SALLE – L’OSTEOPATHIE :UNE MEDECINE MANUELLE – EDITIONS DE L’ANCRE 1994. RICARD F- – SALLE J.L -TRAITÉ DE MÉDECINE OSTÉOPATHIQUE – EDITIONS ROGER JOLLOIS, 1994. RICARD F.- SALLE J.L – ALMAZAN G. -LA OSTEOPATÍA: UN MÉTODO DE CURACIÓN NATURAL. – EDITORIAL MÁNDALA ,1994. F. RICARD/ J.L. SALLE ‑ TRATADO DE OSTEOPATÍA‑ MANDALA EDICIÓN (ESPAÑA). 1A EDICIÓN 1991, 2A EDICIÓN 1995,3º EEDICIÓN- MEDOS EDITORIAL. F. RICARD D.O‑ TRATAMIENTO OSTEOPÁTICO DE LAS LUMBALGIAS Y CIÁTICAS‑ TOMOS 1 Y 2‑ EDICIÓN MANDALA (ESPAÑA)‑ 1A EDICIÓN 1994‑ 2A EDICIÓN 1996. F. RICARD/J.L. SALLE‑ TRATADO DE OSTEOPATÍA TEÓRICO Y PRÁCTICO ROBE EDITORIAL (BRASIL) 1996. RICARD F -TRATADO DE RADIOLÓGÍA OSTEOPÁTICA DEL RAQUIS – PANAMERICANA, 1999, 2º EDICIÓN MEDOS EDITORIAL, 2013. 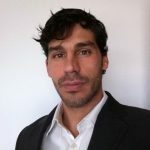 RICARD F. – TRATAMIENTO OSTEOPÁTICO DE LAS ALGIAS DE ORIGEN CRÁNEO-CERVICAL: CERVICALGIAS, TORTÍCOLIS, NEURALGIAS CERVICOBRAQUIALES, CEFALEAS, MIGRAÑAS, VERTIGES – EDITORIAL ESCUELA DE OSTEOPATÍA DE MADRID, 2000. RICARD F.- TRATADO DE OSTEOPATÍA CRANEAL, ANÁLISIS ORTODÓNTICO, DIAGNÓSTICO Y TRATAMIENTO MANUAL DE LOS SÍNDROMES CRANEOMANDIBULARES: PRINCIPIOS Y TRATAMIENTOS EN OSTEOPATÍA, FISIOTERAPIA Y REEDUCACIÓN DE LOS TRASTORNOS OCLUSALES, POSTURALES, TRAUMÁTICOS – EDITORIAL PANAMERICANA 2001, 2º EDICIÓN MEDOS EDITORIAL, 2014. F. RICARD D.O‑ TRATAMIENTO OSTEOPÁTICO DE LAS HERNIAS DISCALES LUMBARES Y CIÁTICAS‑ 1º EDICIÓN PANAMERICANA‑ 2003, 2º EDICIÓN MEDOS EDITORIAL.2013. F. RICARD/J.L. SALLE.TRATTATO DI OSTEOPATIA. UTET 2004. F. RICARD /E. MARTINEZ – OSTEOPATÍA Y PEDIATRÍA. PANAMERICANA 2005, 2º EDICIÓN MEDOS EDITORIAL, 2015. F. RICARD -TRATADO DE OSTEOPATÍA CRANEAL: ANÁLISIS ORTODÓNTICO. DIAGNÓSTICO Y TRATAMIENTO MANUAL DE LOS SÍNDROMES CRANEOMANDIBULARES. PANAMERICANA 2º EDICIÓN 2005, 3º EDICIÓN MEDOS EDITORIAL. F. RICARD – TRATADO DE MEDICINA INTERNA OSTEOPÁTICA – TOMO 1: SISTEMA CARDIORESPIRATORIO- PANAMERICANA 2008, 2º EDICIÓN MEDOS EDITORIAL 2017. .
F. RICARD – TRATADO DE MEDICINA INTERNA OSTEOPÁTICA – TOMO 2: SISTEMA DIGESTIVO -PANAMERICANA 2008, 2º EDICIÓN MEDOS EDITORIAL. 2016. F. RICARD – TRATAMIENTO OSTEOPÁTICO DE LAS ALGIAS DE ORIGEN CERVICAL – PANAMERICANA 2008, 2º EDICIÓN MEDOS EDITORIAL. 2016. F. RICARD – TRATAMIENTO OSTEOPÁTICO DE LAS ALGIAS DEL RAQUIS TORÁCICO.- PANAMERICANA 2007. F. RICARD. TRAITEMENT OSTEOPATHIQUE DES LOMBALGIES ET LOMBOSCIATIQUES PAR HERNIES DISCALES – MASSON/ELSEVIER 2007 (PARIS FRANCE). F. RICARD – TRATAMIENTO OSTEOPÁTICO DE LAS ALGIAS DEL MIEMBRO SUPERIOR: TOMO 1 CINTURA ESCAPULAR. MEDOS EDITORIAL, 2011. RICARD- TRAITEMENT OSTEOPATIQUE DES ALGIES DU RACHIS TORACIQUE- ELSEVIER FRANCE 2009. 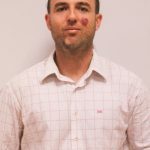 F.RICARD, A. OLIVA.OSTEOPATIA BASADA EN LA EVIDENCIA.MEDOS EDITORIAL, 2017. F. RICARD – SCIENTIFIC RESEARCH METHODOLOGY AND SCIENTIFIC PROTOCOLS OF STUDIES IN OSTEOPATHY. More than 40 books writed and published in french,spanish, portugess, english; commercialized in France, Belgium, Canada, Spain, South America, England and USA. More than 30 scientific articles written in professional magazines in different languages. F.RICARD – LESIONS ET TECHNIQUES OSTEOPATHIQUES : TENTATIVE D’EXPLICATION NEURO-PHYSIOLOGIQUE – KINESITHERAPIE SCIENTIFIQUE Nº 285 – DECEMBRE 1989. F.RICARD – L’OSTEOPATHIE ,SA PATHOLOGIE,SES TECHNIQUES ET LEUR UTILISATION – KINESITHERAPEUTE PRATICIEN Nº 15 , SEPTEMBRE 1988. F.RICARD – L’OSTEOPATHIE ,SA PATHOLOGIE,SES TECHNIQUES ET LEUR UTILISATION – KINESITHERAPEUTE PRATICIEN Nº 14 , JUIN 1988. F.RICARD – SYMPTOMES EN RELATION AVEC LES LESIONS OSTEOPATHIQUES DES VERTEBRES CERVICALES – OSTEOPATHIE Nº29 ,MARS 1988. F.RICARD – PLAIDOYER POUR L’OSTEOPATHIE STRUCTURELLE – OSTEOPATHIE Nº 37 , JUIN 1990. F.RICARD – TRAITEMENT OSTEOPATHIQUE DES PATHOLOGIES VESICALES DE LA FEMME – OSTEOPATHIE Nº44 ,JANVIER 1992. F.RICARD –INTRODUCTION AUX TECHNIQUES CHIROPRACTIQUES – OSTEO Nº 8 ,OCTOBRE 1990. F.RICARD –INTRODUCTION AUX TECHNIQUES CHIROPRACTIQUES – OSTEO Nº 28/29 , SEPTEMBRE 1993. F.RICARD – MONOGRAFIA DE TERAPIA MANUAL Y OSTEOPATIA – OSTEOPATIA Nº 0 Y 1,1995. F.RICARD – LA TERAPIA CRANEO SACRA – OSTEOPATIA Nº 2,1996. F.RICARD – ACUPUNCTURA Y TRATAMIENTO DEL DOLOR: ¿MITO O REALIDAD? – OSTEOPATIA Nº 3,1996. F.RICARD – DISFUNCIONES DE LA ARTICULACIÓN TEMPORMANDIBULAR – OSTEOPATIA Nº 5,1997. F.RICARD – ESTADÍSTICAS COMPARATIVAS EN LOS TRATAMIENTOS DE LUMBOCIATICAS POR HERNIA DISCAL – OSTEOPATIA Nº 7,1997. F.RICARD – CONCEPTOS MECÁNICOS, NEUROLÓGICOS Y RADIOLÓGICOS EN LOS TRATORNOS POSTURALES DE LA COLUMNA VERTEBRAL – MONOGRÁFICO ESCOLIOSIS – OSTEOPATIA Nº 8/9,1998. F.RICARD – ESTUDIO OSTEOPÁTICO Y RADIOLÓGICO DE LA ESCOLIOSIS – OSTEOPATIA Nº 8/9,1998. F.RICARD – CONCEPTOS MECÁNICOS, NEUROLÓGICOS Y RADIOLÓGICOS EN LOS TRATORNOS POSTURALES DE LA COLUMNA VERTEBRAL – MONOGRÁFICO DE OSTEOPATÍA CRANEAL – OSTEOPATIA Nº 10/11,1999. F.RICARD –TERAPIA MANUAL Y OSTEOPATÍA: BASES DE APLICACIÓN, METODOS EVALUATIVOS Y TRATAMIENTO – TERAPIA MANUAL VENEZOLANA Nº 2, NOV.1998. F.RICARD – STASTIQUES COMPARATIVES RELATIVES AUX TRAITEMENTS DES LOMBO-SCIATIQUES PAR HERNIE DISCALE – AESCULAPE Nº 12 ,JUIN 1998. F.RICARD – ESTADÍSTICAS COMPARATIVAS EN LOS TRATAMIENTOS DE LUMBOCIÁTICA POR HERNIA DISCAL – FISIOTERAPIA Nº 22,2000. MARTINEZ LOZA E. – F.RICARD – PRUEBAS CIENTÍFICAS DE LA MOVILIDAD DEL CRÁNEO – FISIOTERAPIA Nº 22, 2000. OLIVA PASCUAL-VACA Á, PUNZANO-RODRÍGUEZ R, ESCRIBÁ-ASTABURUAGA P, FERNÁNDEZ-DOMÍNGUEZ JC, RICARD F, FRANCO-SIERRA MA, RODRÍGUEZ-BLANCO C. SHORT-TERM CHANGES IN ALGOMETRY, INCLINOMETRY, STABILOMETRY, AND URINARY PH ANALYSIS AFTER A THORACOLUMBAR JUNCTION MANIPULATION IN PATIENTS WITH KIDNEY STONES.J ALTERN COMPLEMENT MED. 2017 AUG;23(8):639-647. DOI: 10.1089/ACM.2017.0041. EPUB 2017 MAY 24. PEÑA-SALINAS M, OLIVA-PASCUAL-VACA J, HEREDIA-RIZO AM, RODRIGUEZ-BLANCO C, RICARD F, OLIVA-PASCUAL-VACA Á. NO IMMEDIATE CHANGES ON NEURAL AND MUSCULAR MECHANOSENSITIVITY AFTER FIRST RIB MANIPULATION IN SUBJECTS WITH CERVICAL WHIPLASH: A RANDOMIZED CONTROLLED TRIAL. J BACK MUSCULOSKELET REHABIL. 2017;30(4):921-928. DOI: 10.3233/BMR-160645. BAUTISTA-AGUIRRE F, OLIVA-PASCUAL-VACA Á, HEREDIA-RIZO AM, BOSCÁ-GANDÍA JJ, RICARD F, RODRIGUEZ-BLANCO C. EFFECT OF CERVICAL VS. THORACIC SPINAL MANIPULATION ON PERIPHERAL NEURAL FEATURES AND GRIP STRENGTH IN SUBJECTS WITH CHRONIC MECHANICAL NECK PAIN: A RANDOMIZED CONTROLLED TRIAL. EUR J PHYS REHABIL MED. 2017 JUN;53(3):333-341. DOI: 10.23736/S1973-9087.17.04431-8. EPUB 2017 FEB 17. RODRIGUEZ-BLANCO C, COCERA-MORATA FM, HEREDIA-RIZO AM, RICARD F, ALMAZÁN-CAMPOS G, OLIVA-PASCUAL-VACA Á. IMMEDIATE EFFECTS OF COMBINING LOCAL TECHNIQUES IN THE CRANIOMANDIBULAR AREA AND HAMSTRING MUSCLE STRETCHING IN SUBJECTS WITH TEMPOROMANDIBULAR DISORDERS: A RANDOMIZED CONTROLLED STUDY.J ALTERN COMPLEMENT MED. 2015 AUG;21(8):451-9. DOI: 10.1089/ACM.2014.0332. EPUB 2015 JUN 2. CARDOSO-DE-MELLO-E-MELLO-RIBEIRO AP, RODRÍGUEZ-BLANCO C, RIQUELME-AGULLÓ I, HEREDIA-RIZO AM, RICARD F, OLIVA-PASCUAL-VACA Á. EFFECTS OF THE FOURTH VENTRICLE COMPRESSION IN THE REGULATION OF THE AUTONOMIC NERVOUS SYSTEM: A RANDOMIZED CONTROL TRIAL. EVID BASED COMPLEMENT ALTERNAT MED. 2015;2015:148285. DOI: 10.1155/2015/148285. EPUB 2015 JUN 14. VIEIRA-PELLENZ F, OLIVA-PASCUAL-VACA A, RODRIGUEZ-BLANCO C, HEREDIA-RIZO AM, RICARD F, ALMAZÁN-CAMPOS G. SHORT-TERM EFFECT OF SPINAL MANIPULATION ON PAIN PERCEPTION, SPINAL MOBILITY, AND FULL HEIGHT RECOVERY IN MALE SUBJECTS WITH DEGENERATIVE DISK DISEASE: A RANDOMIZED CONTROLLED TRIAL. ARCH PHYS MED REHABIL. 2014 SEP;95(9):1613-9. DOI: 10.1016/J.APMR.2014.05.002. EPUB 2014 MAY 24. MOLINS-CUBERO S, RODRÍGUEZ-BLANCO C, OLIVA-PASCUAL-VACA A, HEREDIA-RIZO AM, BOSCÁ-GANDÍA JJ, RICARD F. CHANGES IN PAIN PERCEPTION AFTER PELVIS MANIPULATION IN WOMEN WITH PRIMARY DYSMENORRHEA: A RANDOMIZED CONTROLLED TRIAL.PAIN MED. 2014 SEP;15(9):1455-63. DOI: 10.1111/PME.12404. EPUB 2014 MAR 25. ANTOLINOS-CAMPILLO PJ, OLIVA-PASCUAL-VACA A, RODRÍGUEZ-BLANCO C, HEREDIA-RIZO AM, ESPÍ-LÓPEZ GV, RICARD F. SHORT-TERM CHANGES IN MEDIAN NERVE NEURAL TENSION AFTER A SUBOCCIPITAL MUSCLE INHIBITION TECHNIQUE IN SUBJECTS WITH CERVICAL WHIPLASH: A RANDOMISED CONTROLLED TRIAL.PHYSIOTHERAPY. 2014 SEP;100(3):249-55. DOI: 10.1016/J.PHYSIO.2013.09.005. EPUB 2013 NOV 4. 10 conferences in national congresses of Physiotherapy in Spain between 1990 and 1998. 12 conferences in Brazil in congresses, Minas Gerais and Sao Paulo, in Physiotherapy between Universities 1996 and 2000. World Congress of Orthopaedic Surgery and Traumatology in Buenos Aires, 1999. 1º Symposium hispano-americano in Manual Therapy and Osteopathy, Madrid, Spain 1998. Argentinian National Congress in Kinesiology and Physiotherapy. Mar del Plata, Argentina, 1998. 2º Symposium hispano-americano in Manual Therapy and Osteopathy, Río de Janeiro, Brazil, 2000. Congress about Cranial-facial pain and odontology, Sao Paolo, Brazil, 2000. 3º Symposium hispano-americano in Manual Therapy and Osteopathy, Buenos Aires, Argentina, 2001. 4º simposio hispano-americano of Osteopathy- Madrid, Spain 2002. 2º simposio hispano-americano of Osteopathy- Madrid, Spain 2002. 2º National spanish conferences in osteopathy, 1º International Congress –Madrid, Spain 2003. British Osteopathic Association annual congress 2008. Other Congresses in Germany, Russia, Italy, France. Several postgraduate courses for Physiotherapists, osteopaths and odontologists about Temporomandibular Joint and dental occlusion in France and Brazil. 2 in Spain (cable medicina channel, TeleMadrid, Intereconomía). 1 in France (channel 5).